Analysis: Grant suffered a Lisfranc injury in Week 5 of the 2018 season and was placed on injured reserve shortly thereafter. It's unclear if his continued status as a free agent is due to a lengthy recovery process or simply a lack of interest from teams. The 27-year-old averaged 5.6 yards on 81 carries in four seasons with the Jaguars, but 25.1 percent of his rushing yards came from two long gains on fake punts. Grant will need to battle for a 53-man roster spot if he eventually signs with a team. Grant (foot) will be placed on injured reserve and won't have a chance to return this season, Adam Schefter of ESPN reports. Analysis: Grant suffered a Lisfranc injury during Sunday's 30-14 loss to Kansas City, leaving T.J. Yeldon to dominate playing time in the backfield. 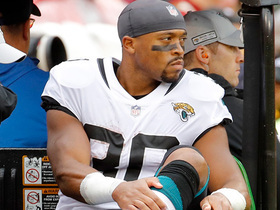 With Leonard Fournette (hamstring) seemingly in line for at least one more absence, the Jaguars are left with little-known Brandon Wilds as the only healthy running back behind Yeldon. The 26-year-old Grant wraps up his fourth NFL season with just 40 yards on 13 carries (3.1 average) and 67 yards on nine receptions. Grant is believed to have suffered a Lisfranc injury that will end his season, Adam Schefter of ESPN.com reports. Analysis: If Grant is ultimately forced to miss the rest of the season, the Jaguars will find themselves very thin at running back. Normal starter Leonard Fournette (hamstring) seems to be headed for at least one more absence, and with Grant now out of the picture, an enormous workload could be placed on T.J. Yeldon going forward. Brandon Wilds is the only other healthy running back on the Jaguars' roster, so it would not be surprising to see them sign some help in the coming days. Grant (foot) has been ruled out for the remainder of Sunday's game against Kansas City, John Oehser of the Jaguars' official site reports. Analysis: Grant left Sunday's contest to receive further medical attention on his injured foot. With concerns worsening the injury, the Jaguars are going to take a more cautious approach with Grant. 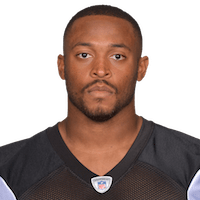 Brandon Wilds figures to slide into the primary backup role behind T.J. Yeldon, as Jacksonville is now down to just two healthy running backs for the rest of Sunday's game. Grant is questionable to return to Sunday's game against the Chiefs with a foot injury, Tad Dickman of the Jaguars Public Relations Staff reports. Analysis: Grant witnessed an uptake in usage entering Sunday's contest with starting running back Leonard Fournette (hamstring) unable to play. Even if Grant returns to the contest, he's unlikely to challenge T.J. Yeldon for the lead back role. Grant should have a significant role in the Jacksonville offense with Leonard Fournette (hamstring) ruled out for Sunday's game in Kansas City, Michael DiRocco of ESPN.com reports. Analysis: Grant has been limited to 99 yards on 21 touches through the first four weeks of the season, including 10 carries and seven catches while Fournette was sidelined for Weeks 2 and 3. T.J. Yeldon likely will get the start at running back in Week 5 and handle most of the playing time, but it's possible there will be enough production to go around against a Kansas City defense that has surrendered six touchdowns and 201.5 scrimmage yards per game to running backs through four weeks. Grant gained five yards on his lone carry and caught two of three targets for 12 yards in Sunday's 31-12 win over the Jets. Analysis: Grant got just three touches in this one with Leonard Fournette making his return from a hamstring injury. Fournette aggravated that injury, however, which could mean a return into the offensive game plan for Grant in Week 5 against a Chiefs defense that's given up more than its fair share of big plays this year. Grant rushed six times for 11 yards and caught one of two targets for minus-1 yard in Sunday's 9-6 loss to Tennessee. Analysis: Grant got one fewer carry than T.J. Yeldon, but Yeldon outgained him 44-11 on the ground. Both running backs should stay involved against the Jets next week if Leonard Fournette (hamstring) is unavailable again. With Leonard Fournette (hamstring) inactive, Grant figures to see added opportunities in the Jaguars offense Sunday against the Titans. 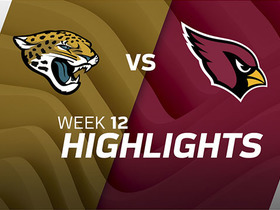 Analysis: T.J. Yeldon is slated to play through his ankle issue and figures to head the team's rushing attack, but Grant should see his share of touches in Week 3, after rushing four times for 13 yards and catching six of his seven targets for 56 yards in last Sunday's win over the Patriots. He's thus an option in PPR formats and for those scrambling for running back help this weekend. Grant rushed four times for 13 yards and caught six of seven targets for 56 yards in Sunday's win over the Patriots. Analysis: Grant was much more involved compared to the season opener, though T.J. Yeldon still carried a slight edge in touches (14 to 12) and yardage (71 to 69). Leonard Fournette (hamstring) was inactive after not practicing through the week, although he was a game-time decision. Grant's increased workload is encouraging, but Yeldon should remains Jacksonville's No. 2 running back for the time being. Jaguars head coach Doug Marrone admitted he should have given Grant a little more work after Leonard Fournette suffered a hamstring injury in Sunday's 20-15 win over the Giants, Mike Kaye of FirstCoastNews.com reports. Analysis: T.J. Yeldon dominated the backfield snaps after Fournette's exit in the second quarter, finishing with 14 carries and three catches on 39 snaps. Meanwhile, Grant only logged six snaps and actually got his lone touch on the opening drive of the game. His usage in the season opener wasn't encouraging, but Grant should at least have a larger role Week 2 against the Patriots if Fournette is unavailable. Grant finished with eight rushes for six yards and caught all three of his targets for 39 yards during Thursday's 24-20 loss to the Saints in the preseason opener. Analysis: Grant also gained 39 yards on two kickoff returns and recorded a tackle on special teams. 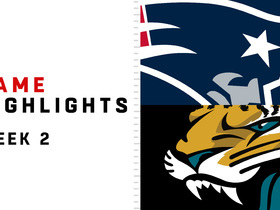 On a busy night for the tailback, Grant led the Jags in both carries and receiving yards. Although he didn't get anything going on the ground, his versatility is clearly of value to Jacksonville. Grant is likely to see an increased workload for the 2018 season, although his role may remain undefined until training camp, Mike Kaye of FirstCoastNews.com reports. 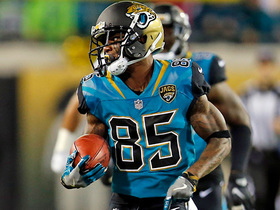 Grant signed his second-round tender to remain with the Jaguars on Thursday, Josina Anderson of ESPN reports. Analysis: It seemed unlikely a team would match a $2.9 million offer for a backup running back, though Grant did take 10 days from the original offer to consider his options. Things are now less murky in the Jacksonville backfield following Chris Ivory's release, but Leonard Fournette is still the unquestioned leader, with T.J. Yeldon in line to serve as the primary backup. Grant may be third in the pecking order, but he will see plenty of work as a valuable asset on special teams. 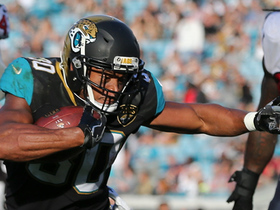 The Jaguars placed a second-round tender on Grant, a restricted free agent, John Oehser of the Jaguars' official site reports. Grant caught all three of his targets for 59 yards and added a two-yard carry during Sunday's 24-20 loss to New England. Grant gained 69 yards and a touchdown on 10 carries in Sunday's 45-7 win over the Texans. Analysis: While Grant paced the Jaguars in rushing with the team minus Leonard Fournette (quadriceps), it's worth noting all 10 of his carries came in the fourth quarter, when Jacksonville already held a 30-point advantage. 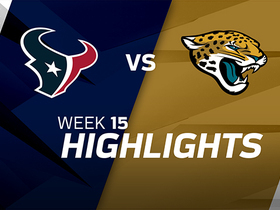 It's generally expected that Fournette will be ready to play Week 16 against the 49ers, so expect Grant to fade back into the fourth-string role at running back behind both Chris Ivory and T.J. Yeldon, with most of Grant's action likely to come on special teams. Grant (shoulder) was a full participant at the Jaguars' practice Wednesday. Analysis: Grant suffered the injury in Sunday's win over the Seahawks but was able to return to the game. The injury appears to have been minor given the 25-year-old's return to practice, and he should his special teams-oriented role against the Texans on Sunday. Grant sustained a right shoulder injury in Sunday's 30-24 win over the Seahawks, the Associated Press reports. Analysis: Grant suffered the injury on a kickoff return in the third quarter, during which he coughed up the ball. The Seahawks recovered the fumble and scored a touchdown on their next play to tie the game at 10-10. Though Grant was able to return to the game, his practice time could be limited heading into the Week 15 matchup with the Texans while he manages the injury. Grant had one carry for a 56-yard touchdown in Sunday's 20-17 win over the Chargers. Analysis: The stat line is a little misleading because it isn't as though Grant came in on offense and set the world on fire with a big play. The touchdown was part of a fake punt and within Grant's duties as a special-teams player. He's still squeezed out of the Jaguars backfield with the return of Leonard Fournette and did not appear on offense during Sunday's game. Grant carried the ball four times for 18 yards in Sunday's 23-7 win over the Bengals. Analysis: Grant has 11 touches for 54 total yards in the last two games with Leonard Fournette out, first with an ankle injury and then for disciplinary matters. The total matches Grant's total from the first six games of the season. Grant managed just six offensive snaps on Sunday, with Fournette is expected back in the lineup against the Chargers expect even those limited reps to be diminished. 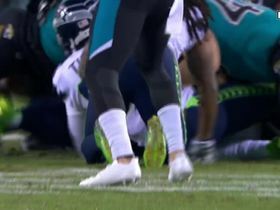 NFL Network Insider Ian Rapoport brings the latest information on the foot injury suffered by Jaguars running back Corey Grant. 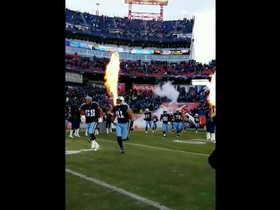 The Tennessee Titans run out of the tunnel before their Week 17 game to a fiery entrance. 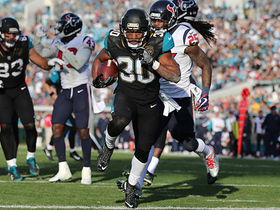 Jacksonville Jaguars running back Corey Grant evades defenders for 8-yard rushing touchdown vs. the Houston Texans. Jacksonville Jaguars running back Corey Grant finds the edge goes for 20 yards vs. the Houston Texans.